Tuolumne Utilities District (TUD) is partnering with the Tuolumne Rancheria Me-Wuk Fire Department on the Lyons-South Fork Watershed Resiliency Project. The Rancheria Fire Department (Rancheria) Tribal Fuels Crews plan to begin work Wednesday, November 28th on hand thinning along the Tuolumne Main Canal to increase forest health and protect adjacent communities. The Rancheria project work area is located near South Fork Road in Twain Harte along the Tuolumne Main Canal. “The Tribe has made a commitment to ensuring that the Rancheria and surrounding communities are protected from fire. It is a true honor to commit our Tribal Fuels Crew to this project”, states Jon Otterson, Executive Director of the Tuolumne Band of Me-Wuk Indians. 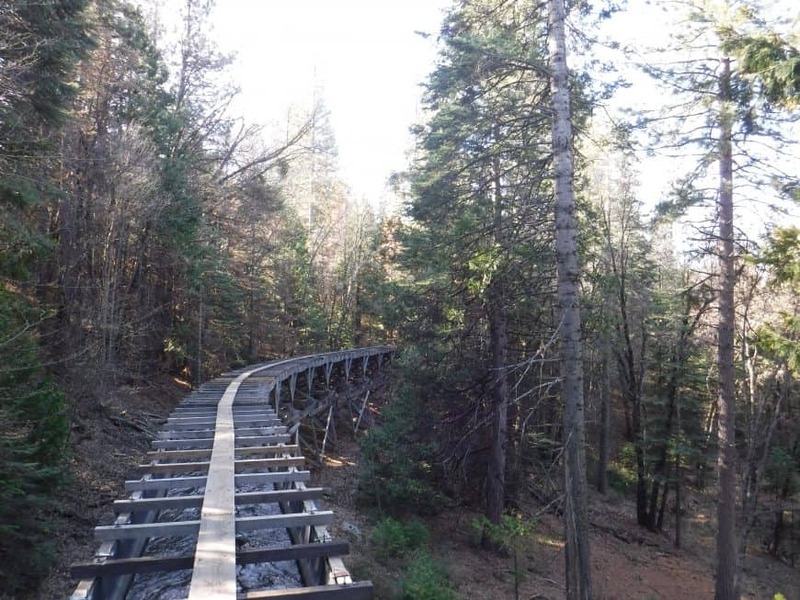 The goal of the Lyons-South Fork Watershed Forest Resiliency Project (LSFWFR) is to help protect the Pacific Gas and Electric Company’s (PG&E) Tuolumne Main Canal (TMC) a historic feature consisting of a series of wooden flumes and connected canals. It is the primary drinking water conveyance system for TUD and 90% of the residents of Tuolumne County. If a wildfire destroyed a section of the flume it is estimated that most of the residents of Tuolumne County would be without drinking water for a significant amount of time. The TMC serves a residential population of approximately 44,000 in addition to commercial and industrial businesses. The primary private landowners SPI and PG&E are already working on removing dead and dying conifers and ladder fuels from their lands. The LSFWFR Project which started in June of 2017, includes the following collaborative partners; the USDA-Stanislaus National Forest, Pacific Gas and Electric Company (PG&E), Sierra Pacific Industries (SPI), Highway 108 FireSafe Council, California Conservation Corps, Tuolumne Rancheria Me-Wuk Fire Department and Tuolumne Utilities District (TUD). In a joint collaborative partnership, Tuolumne Utilities District, as the project applicant, was awarded $496,000 in 2016 in grant funding from the Sierra Nevada Conservancy (SNC) to implement a critical fuel break along the Tuolumne Main Canal which conveys water from Lyons Reservoir. Funding for this project has been provided by the Sierra Nevada Conservancy, an agency of the State of California, under the Water Quality, Supply and Infrastructure Improvement Act of 2014 (Proposition 1) grant cycle and in support of the Sierra Nevada Watershed Improvement Program.